MISSION — Mission Regional Medical Center has finalized an agreement to be acquired by Prime Healthcare Foundation, according to a news release issued by Prime Healthcare last week. The foundation is the nonprofit arm of Prime Healthcare, an organization based in Ontario, California. The agreement commits Prime to maintain the Mission hospital as an acute care facility and strengthen physical recruitment, according to the news release. It also includes a multimillion-dollar capital commitment over the next five years and a management agreement with Prime Healthcare Management until the transaction closes. 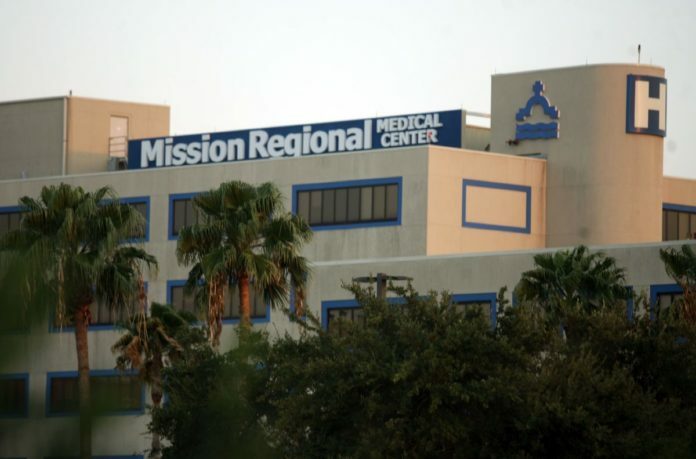 “Mission Regional has provided high quality health care to the residents of Hidalgo County and surrounding communities for more than 60 years,” Prem Reddy, president and CEO of Prime Healthcare stated in the release. Mission Regional is a 297-bed nonprofit that is rated highly nationwide for clinical excellence in services, including maternity and orthopedic care. However, the hospital has faced financial hardship the last few years. In 2015, their credit rating was downgraded twice by the Standard & Poor’s ratings agency. Then in January of this year, the hospital announced 40 layoffs which included their sexual assault forensic unit. The sale of Mission Regional has been looming since last May with interest from Doctors Hospital at Renaissance and Universal Health Services. In August, DHR and Mission Regional signed a non-binding letter of intent that called for a new community-led nonprofit board to oversee the operations of the hospital. The role of DHR in Mission Regional’s future would have been to provide “hospital operational expertise,” Carlos Cardenas, chairman of the board of DHR, stated in a news release issued in August. The agreement with DHR eventually fell through and in January, Mission Regional announced they had signed a letter of intent with Prime Healthcare. Mission Regional is just Prime’s latest acquisition in the Valley. Harlingen Medical Center is operated by Prime Healthcare while Knapp Medical Center in Weslaco, also a nonprofit hospital, is operated by Prime Healthcare Foundation. “As a future member of the Prime Healthcare Foundation family of hospitals, we look forward to continuing our dedicated service to our community with additional resources and support from an award-winning health system,” said Javier Iruegas, CEO of Mission Regional. When pressed for further comment, Nick Espinoza, marketing director for Mission Regional, said they would let the release speak for itself. Financial details of the agreement were not available. The acquisition is expected to close July 1.